Our keynotes Steve Dembo and Adam Bellow are going to be EVERYWHERE through out the three days of the conference. As you would expect they will be in the Armory each morning exchanging ideas during the keynote session. They can also be found in Pemigewasset (aka Salon A) offering engaging and interactive concurrent sessions each day. In addition, there will be TWO “Where is Steve? heads” and TWO “Where is Adam? heads” hiding everywhere and anywhere throughout the conference venue. 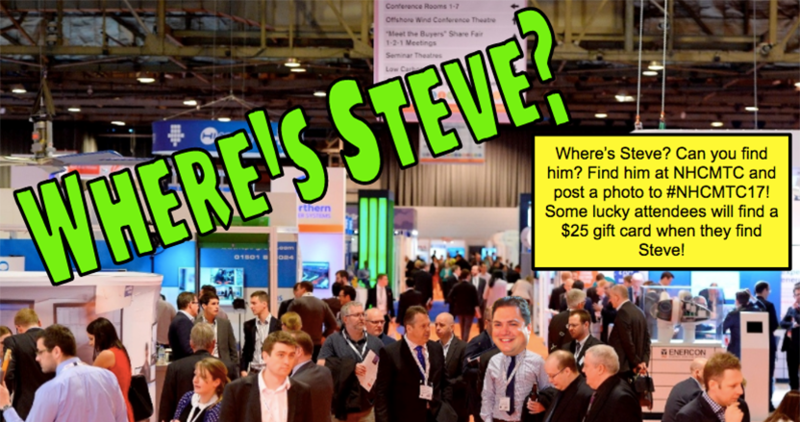 Find a Where is Steve? head or Where is Adam? head and trade in the coupon on the back for a prize at the Main Registration Desk. The heads will move at least four times each day ~ about every two hours. There will always be two heads hiding some place among our exhibitors and the remaining two heads could be anywhere! You never know where you might find them! If you discover a Where is Steve? head or Where is Adam? 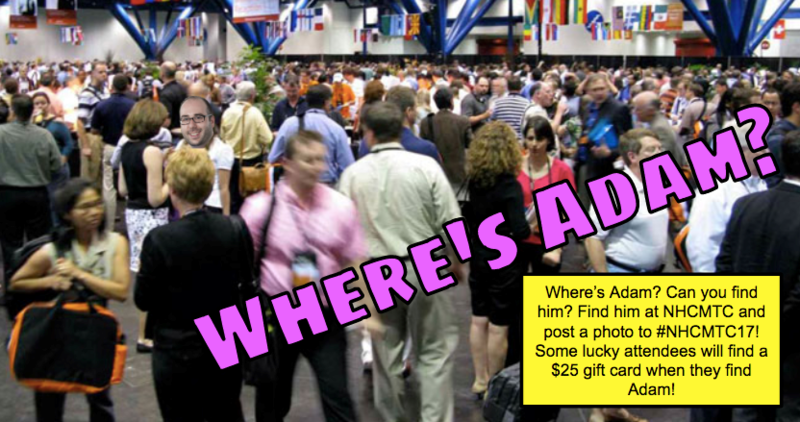 head in an exhibitor space ~ before you head to the Main Registration Area to trade in the “head” to claim your prize, take a “selfie” that includes 1) a Where is Adam? or Where is Steve? head 2) an exhibitor, and 3) the company name or product in the picture. Finally, tweet the picture using the hashtag #CMTC17selfie. You do not need to be present to win!!! Where is Adam? and Where is Steve?